I assumed there was some sort of official battleship graveyard where the Navy scuttles old, decommissioned ships that aren’t big enough to have their own gift shop. I Googled it and the first four pages were all related to this song by a band called The Fall of Troy which… well, just listen. I’m possibly overcritical of bands like this because this song is so close to something I might actually listen to. If this song were 25 percent more The Used and 25 percent less Coheed and Cambria I could possibly get on board. There may be some sort of battleship graveyard after all, but I stopped going through Google results while this song was playing. If it helps you like it helped me, I used an old standby to cleanse my palate after that song. Kidding, I listened to this instead. Okay, real talk: this song actually helped rinse the taste of The Fall of Troy out of my mouth so I could concentrate on writing an article. And if we’re talking about scuttled battleships then we’re probably talking about a card that makes graveyard shenanigans fun and doable and which could buoy some graveyard-related cards, right? When you’re right, you’re right. However, what changed recently that has me thinking about the graveyard? The answer might surprise you. Previous PostPROTRADER: Fire Wil Wheaton, and the Rest of PAX 2015Next PostCalm Down! It That Betrays was just reprinted in the latest Duals. Why no mention of that? And why would it be on track to $20? The price should fall and I believe is falling with the reprint. I must have missed that. That changes my opinion significantly. Isn’t recurring nightmare banned in EDH? I feel like I may have even made this oversight before. I’ll come correct next week. 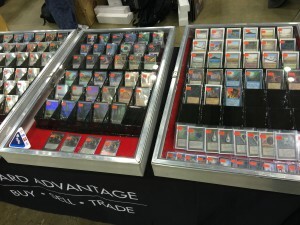 What do you think the non-foil and foil price will be at after release. Any chane this card sees play in Standard, therefore making pre-orders something to consider? I want to believe this is an EDH card but with the right ramp and landfall in standard I’m a little worried about holding off for a good price. 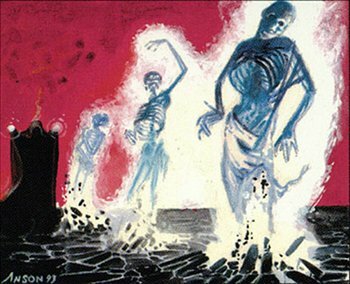 Is Oversold Cemetary a real Reanimator card? The kind of Raise Dead effect I would play over this card in EDH are Athreos (if on color) and Siege Palace. That would have been a good inclusion, too, but I’m not as bullish on palace siege until its price drops a bit. Maybe in a future article. I think it’s an Ulamog card. Later in the game bringing him to the hand so you can cast him for his triggers, sac him to greater good then replay him is more important than cheating him out, IMO.